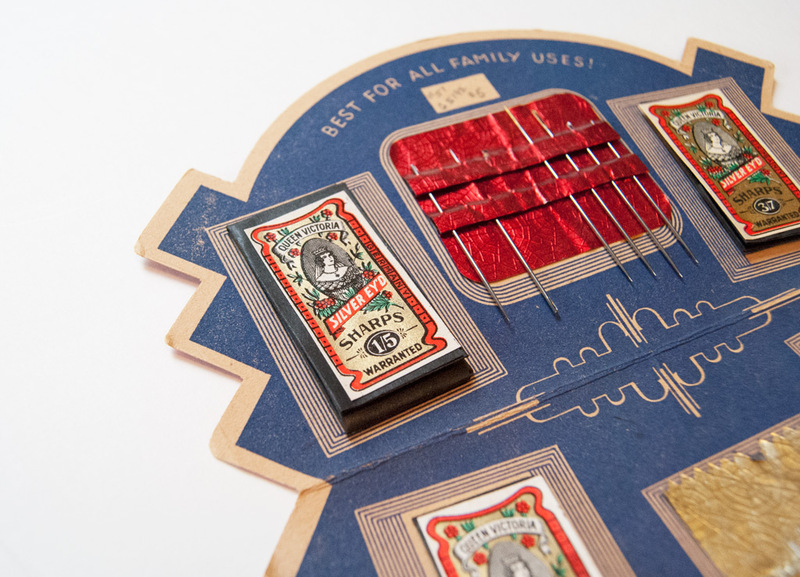 I have a weak spot for vintage glass buttons and needles. I know I’ve shared some of my finds with you before, but here are few new additions to my steadily growing collection. 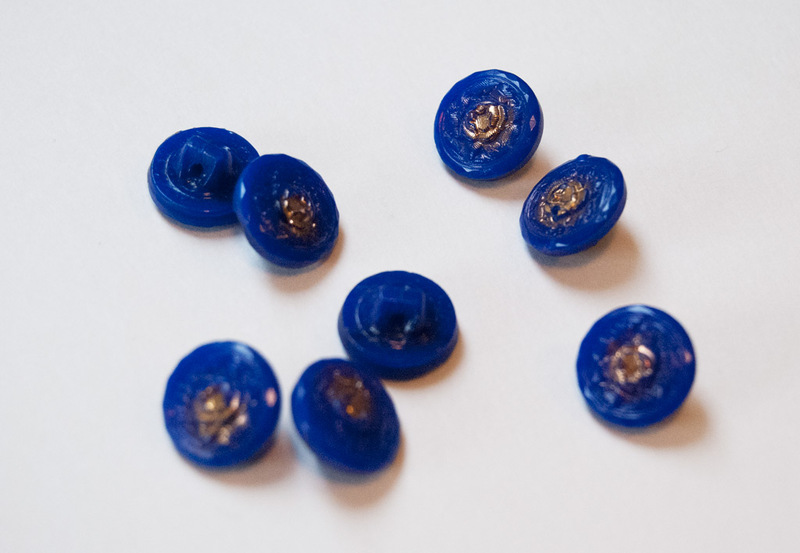 These 1/2″ wide shank-back blue buttons are pressed glass with a rose motif in the center. The rose has a hint of gold paint brushed over it, and the edges are faceted. Most of the time when I find vintage glass buttons, they come in an odd number. I’m happy to have eight of these though. I don’t know why I picked up these jeweled glass and brass buttons. Jewels aren’t something I usually go after. But, I think these could be stunning on a black dress to add a bit of unexpected shine. When am I going to either sew or wear a black dress anytime soon? Psssh. I have no idea. I am in love with these tiny 3/8″ wide ruby red buttons. They need to be cleaned up a bit though. The dark build-up in the button crevices may be paint, but I can’t quite tell. It easily scrapes off, so I’ll probably clean it out with the head of a needle to make them look nicer. In a weird way, they remind me of strawberry Jell-O. These red round buttons came in the same bag as the ruby ones, but the two sets obviously aren’t meant to be used together. There is a little bit of silver paint on one of the buttons, but I don’t think the ones with “H” motif ever had any silver on them. So where do I keep all of these? Honestly, I put them all in a Ball jar, until my collection outgrew it. While Rob and I were looking in an antique store in Washington, I saw this cookie jar and knew it would work perfectly as a button jar. Now my hand fits in it and I don’t have to dump the whole jar to get to the buttons on the bottom! Looking through old buttons reminds me of both of my grandmothers. I remember seeing their button tins and jars and wondering how on earth anyone ever came to collect so many buttons! My mother’s mother gave me her button collection when I was fairly young. It was in an old toffee tin, and many years before, my mother and her sister had used a needle to carve things like “Joni loves Rick” and “Susan loves Tim” all over it. I’ll have to see if I can get my mom to bring it with her on her next visit so I can add those buttons to my jar. My brother knows I love old sewing notions, and he gave me two really amazing vintage needle books for Christmas, along with a beautiful sewing machine print. For me, finding antique needles that are still useable is like finding gold. 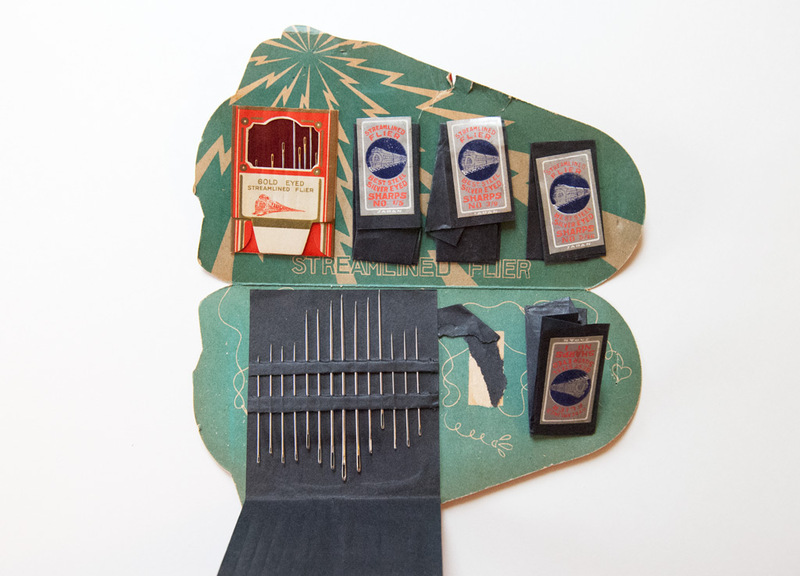 I’ve written about how different vintage needles are from modern ones before, so I’m very happy to have more of them available for hand sewing. 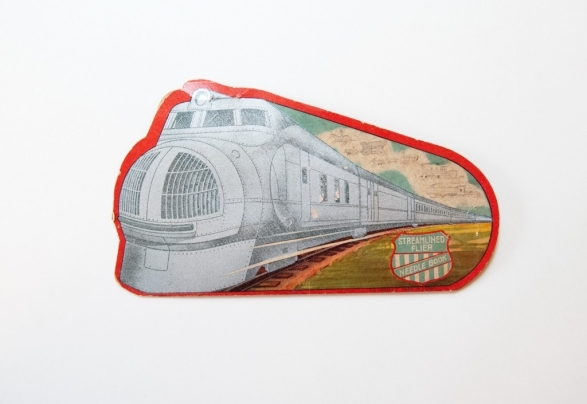 I really like this steam engine needle book. 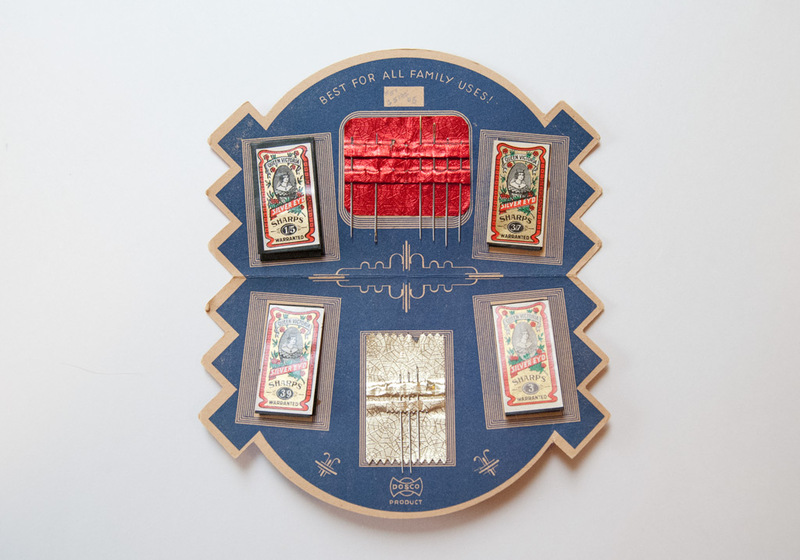 It’s printed with a silver paint, and even the needle books inside are coated with a shiny foil finish. Some of the larger needles are 3″ long and still very sharp! 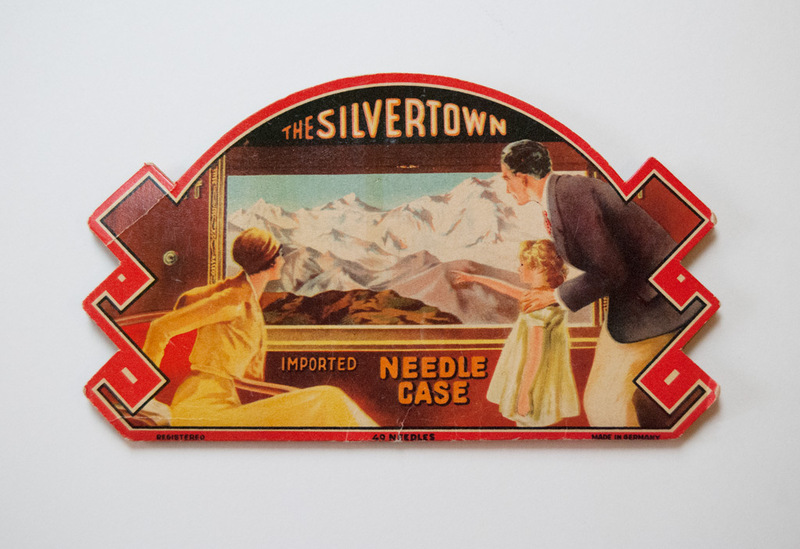 Who out there collects sewing notions, and do you ever post about them? I love looking at vintage patterns and notions that other seamstresses find, so please let me know if you have any fun acquisitions to share! This entry was posted in General, Life and tagged buttons, needles on February 28, 2014 by Amy Alan. I was recently gifted with a very large bag of antique lace. 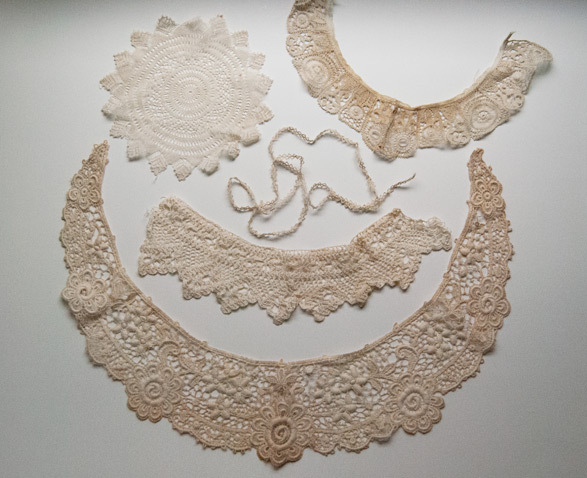 There are pieces of intricate tatting, lace hems, metallic lace made with the tiniest gauge of copper wire, ecru pieces, and also crochet and knit lace. I was having a lot of fun going through the bag, and I discovered that many of the pieces really needed to be cleaned before they began to deteriorate. 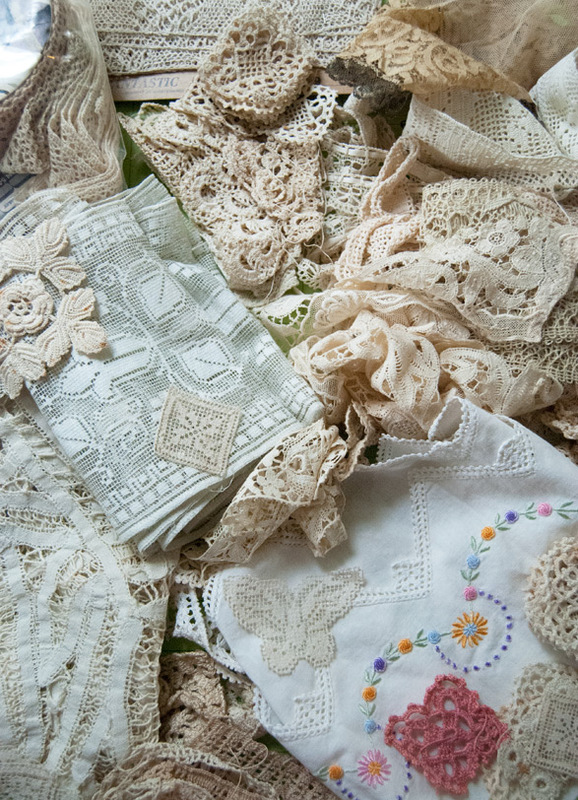 I have seen vintage sellers online talk about cleaning lace and lace garments before, and it almost makes me shiver to see their cleaning suggestions. Bleach! Lemon juice! Salt! Eeeeeep! Noooooo! All of these things may quickly clean the lace and garment that it is attached to, but they will deteriorate and damage the lace in the long run. 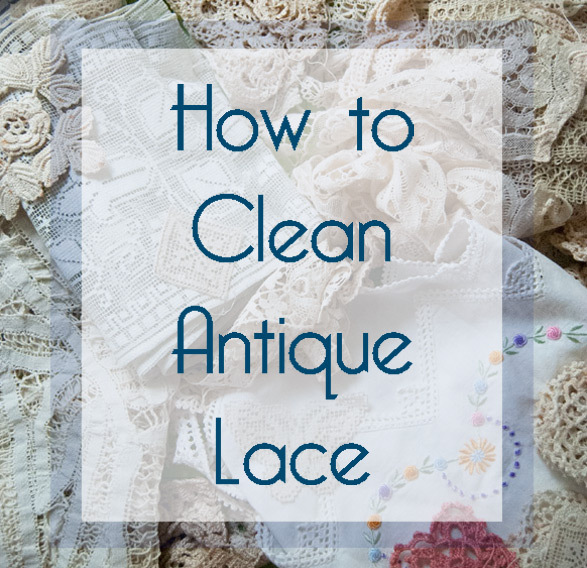 It takes a bit of extra work to properly clean any lace, but it is well worth it if it means not damaging the fibers. Bleach is hazardous to lace because the harsh chemicals eat away at the fibers while they whiten them. It contains hydrochloric acid, which reacts with the molecular structure of a stain and destroys it. But bleach doesn’t discriminate between the stain and the fiber. When it oxidizes, it eats away at both. For many antique fabrics and fibers, this chemical reaction means that they will turn a deep yellow color, which is often times irreversible. A lemon juice and salt mixture is another commonly used stain-fighter. Usually someone who recommends lemon juice and salt tells you to rub the juice and salt into the stain, and then set it out in the sun to brighten. Yes, it will work nicely on rust stains for some colorfast fabrics that you don’t care too much about. With an antique fiber, the lemon juice acid and the salt will keep eating away at the garment if it is not all completely washed away. 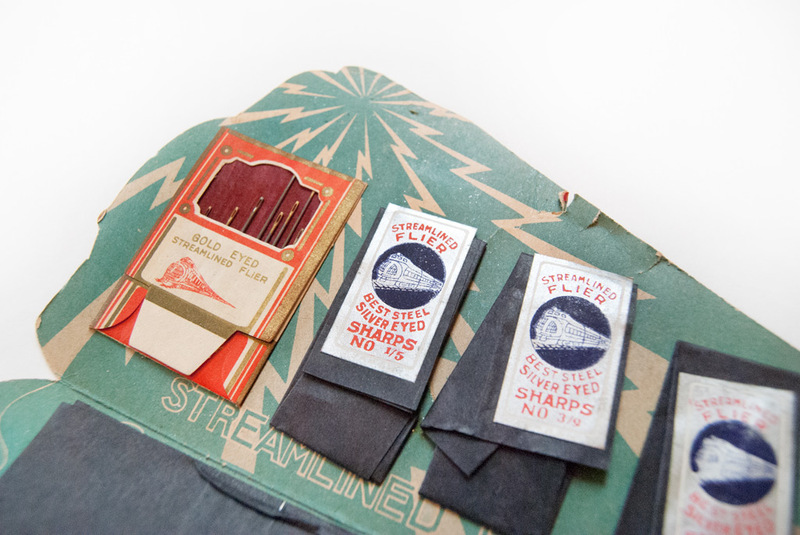 Plus, vigorously rubbing lace in any way, especially when it is wet, will tear its tiny connecting threads. 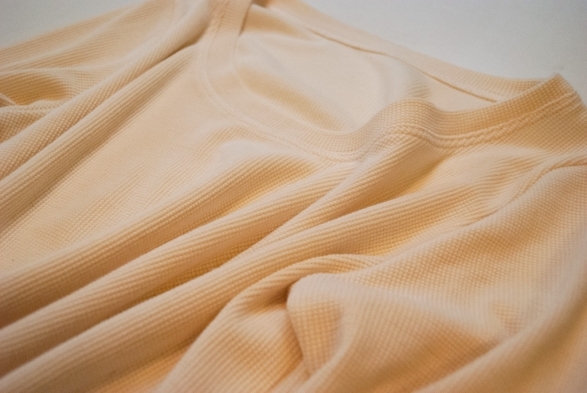 Sunlight can be a good whitening agent, but think of what sunlight does to fabrics left outside for a long time. Exposure to ultra-violet rays breaks down chemical compounds, and even though it looks like the stains, smells and yellowing is the only thing breaking down, the fibers are slowly falling apart as well. 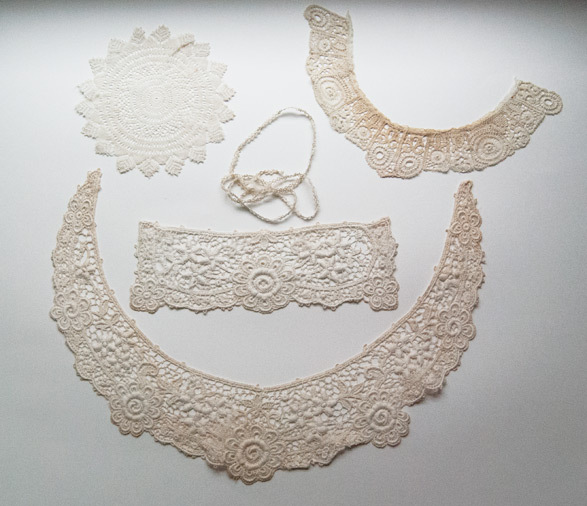 Baking antique lace in the sun until it turns white is not the best idea for something that you are planning on saving or passing down. 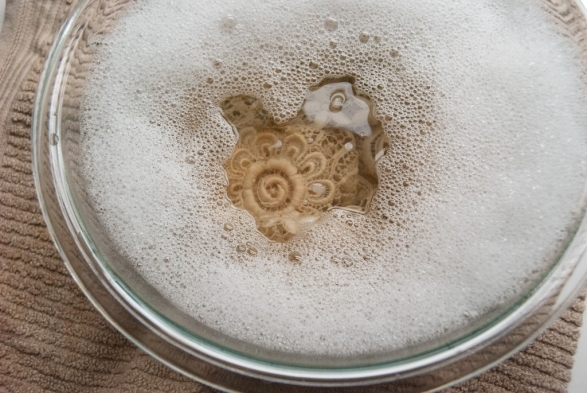 Detergent and dish soap are two other common cleaners, but both of them can strip dye colors and weaken fibers. The softeners and fragrances that stay behind can be oily and deteriorate delicate laces. 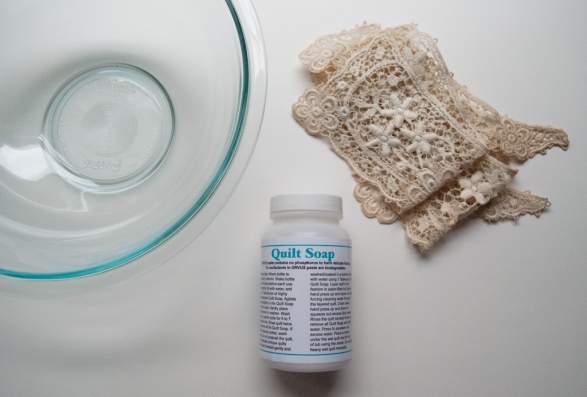 The best solution for cleaning antique lace and other fragile fibers such as vintage quilts, antique or vintage clothing, and tablecloths or other home goods, is Orvus Quilt Soap. Quilters and professional lace restorationists swear by it. Orvus is sodium lauryl sulfate. It is a near-neutral pH solution that is biodegradable and contains no phosphates. It is used by some of the most famous textile archivists in the world, and is safe enough that you can use it to shampoo animals. You can find it in some quilt stores, online or even in farm supply stores, where it is often sold for cleaning horses. Essentially, Orvus works by make water “more wet”. It allows water to connect with the fibers so that the oils and dirt lift and separate. It does not work as quickly as most other cleaners, and often times you will have to soak an item for several hours, and rinse and repeat until it is clean. 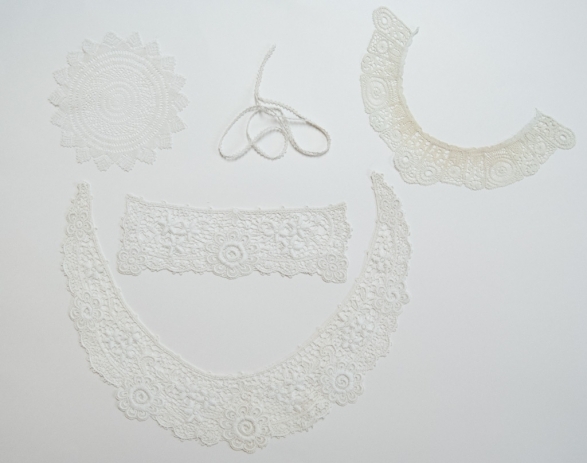 These were the lace pieces that I chose to soak. I did end up switching one of them out after taking this photo, because I realized I had a pair of lace cuffs that matched the large collar piece on the bottom of this image. I saved one of them and set it aside so that I would have a good “before and after” for comparison. 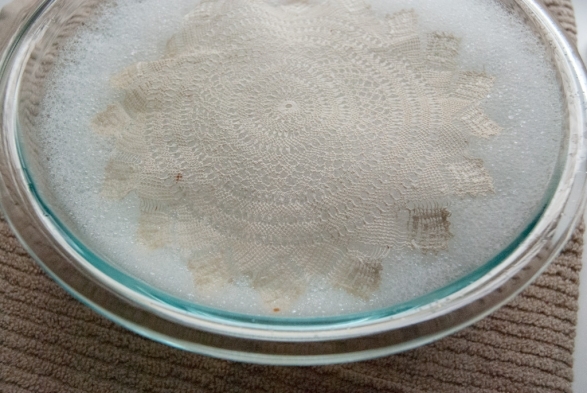 All that you need to clean small pieces of lace is a large glass or enamel coated bowl, hot water (around 115 degrees) and your lace. When lace gets wet, it is extremely sensitive to weight. Pulling it up out of the water could result in tearing. If your lace is particularly delicate, then you should baste it between two layers of white mesh. When you baste the lace, be sure to use a white or ivory colored thread, to ensure that the thread does not bleed any dye in the hot water. Be careful not to put your needle thru any of the lace threads and break them. If you are washing a very large item, such as a tablecloth, then I would recommend that you read this article, which outlines basting the tablecloth to a large cotton sheet before soaking it. For small and strong pieces though, you should be okay to clean them without basting them. Fill the large bowl with one teaspoon of well-mixed Orvus paste and at least a gallon of the hot water. 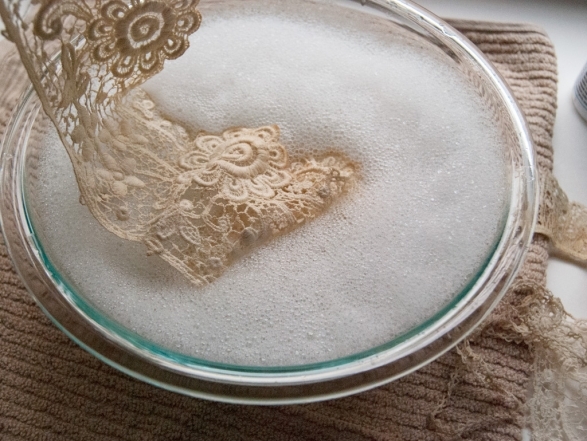 Gently lower your lace into the bowl, being careful to not agitate the water. 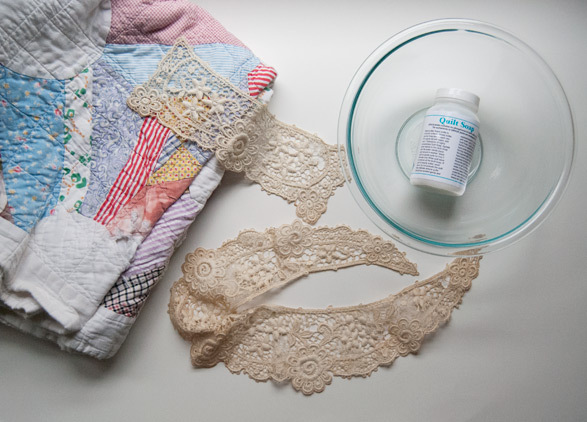 Allow the lace to soak for at least 45 minutes. Once the time is up, place the bowl in the sink. Turn on the faucet, and using warm water, let it slowly run into the bowl and spill over the edges until the water around the lace is clear. This step may take a very long time. I sometimes hurry this up by holding my hand against the lace (softly) and pouring most of the water out of the bowl before letting it fill up again and again. The color of the water usually reminds me of a strong cup of tea. 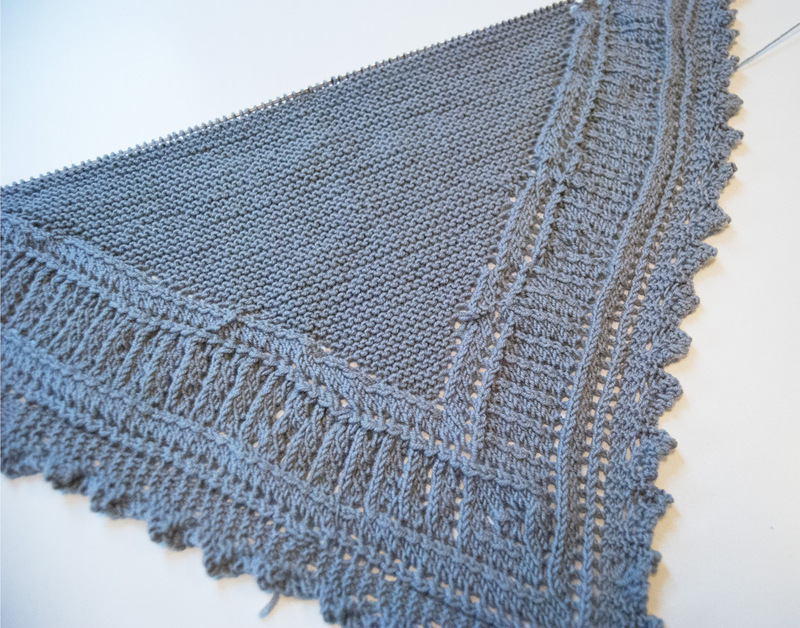 Once the water is clear, lay the lace out on a clean white towel and let it air dry. Carefully block the shape of the lace on the towel, so that it assumes its previous shape. Make sure that no corners are folded under or stretched out. This is what my lace looked like after soaking it two times. After it soaks, it will look a bit grey and dingy, but it dries to become whiter than it appears on the white towel. I soaked it two additional times after taking the above photo. 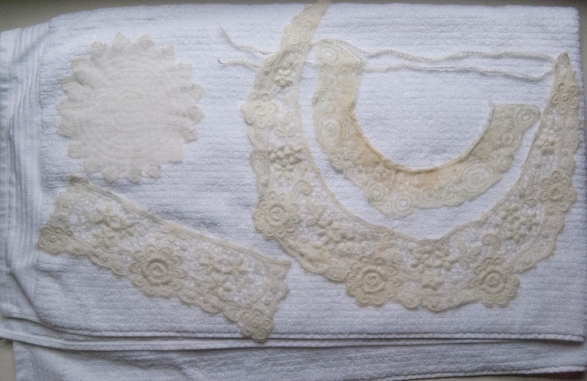 The photo below, on the towel, is the color of my lace after soaking it a fourth time. 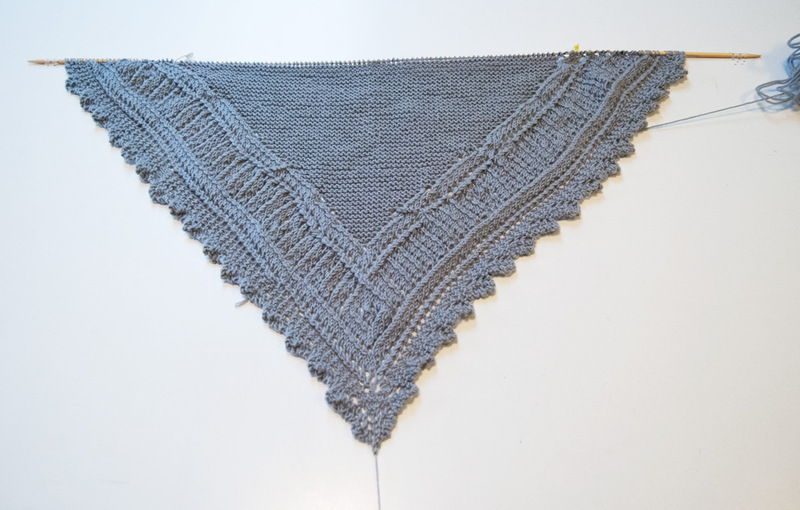 Once the lace was dry, it was considerably whiter. The collar on the top left has quite a bit of acid burn on it. It was probably never cleaned after being removed from the neck of a garment, so the body oils have continued to eat away at and discolor the fibers for many years. I will either soak it some more, or dye it a different color all together. 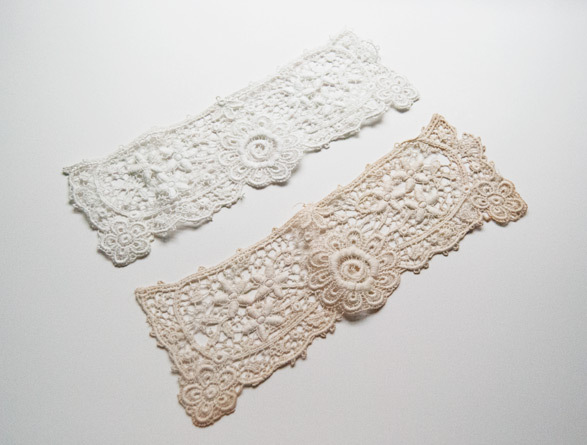 Here is a comparison of the two lace cuffs to show you how dirty they were before soaking. I’d say that’s quite an improvement! * I was not endorsed or paid in any way to write about Orvus. I simply love the product! This entry was posted in Fabric, How to Sew, Projects and tagged clothing, fabric, tutorial, vintage on February 17, 2014 by Amy Alan. Have you ever seen yourself on television or in a photo and thought, “That’s me? It doesn’t look like me.” It’s a thought that pops into my head whenever I catch an episode of myself on PBS, or see a YouTube video of me featured online. It’s a very odd feeling to watch yourself teach. I personally am hyper-critical about the words that I use, my Midwestern accent and even my posture. It’s pretty nerve-wracking to put yourself out there like that. When I film a class or television episode, I’m never nervous about my content. I write outlines, I practice what I’m going to say, and I feel confident when filming. But when it comes to having it posted on the internet for anyone to comment on, I get nervous. I’ve read the comment section on popular sites before, where someone has the choice to remain anonymous, and it’s almost never pretty. Back in August, I had the opportunity to film two segments about serger stitches with It’s Sew Easy. It was fun, the filming went smoothly, and I was pleased with how it all turned out. My first segment aired a little bit ago, and you can see it on YouTube by clicking here. Each segment focuses on various serger stitches, what they should look like, and where or how you should use them. I am so incredibly grateful to see the positive comments that have been posted. I don’t believe I have any reason to be given negative ones, but I always find that my chest tightens a bit when I scroll down a page where I’m featured. The story in my head is that someone will find fault in me, as a person, and pick out either a physical feature to make a negative comment on, or decide that they don’t like the information I’ve given and do everything they can to find fault in it. It’s a story that’s never been true for me, but I still have a fear of it, perhaps because I’ve spoken with other sewing bloggers about the very harsh negative emails and comments they have received in the past. So I wanted to say thank you. Thank you for always being supportive and kind and encouraging. For giving me the confidence to get up and teach and share my knowledge. Your kindness has never gone unnoticed by me, and I hope that I can continue to share and teach for many many years to come. 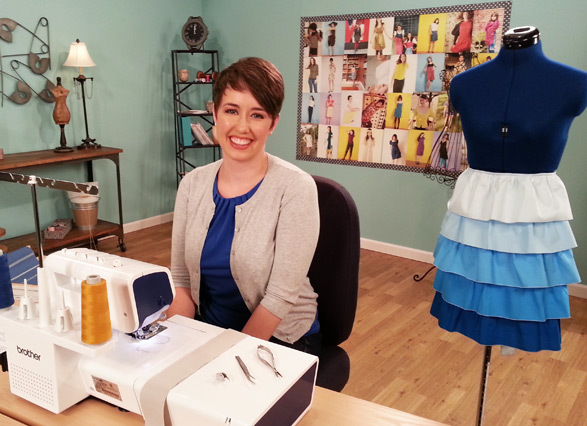 If you would like to see my second segment for It’s Sew Easy, it will air on their website starting on February 7th. I hope you check it out! This entry was posted in How to Sew, Life and tagged serging, teaching, television on February 4, 2014 by Amy Alan. It wasn’t something that I expected to find on my sewing table. 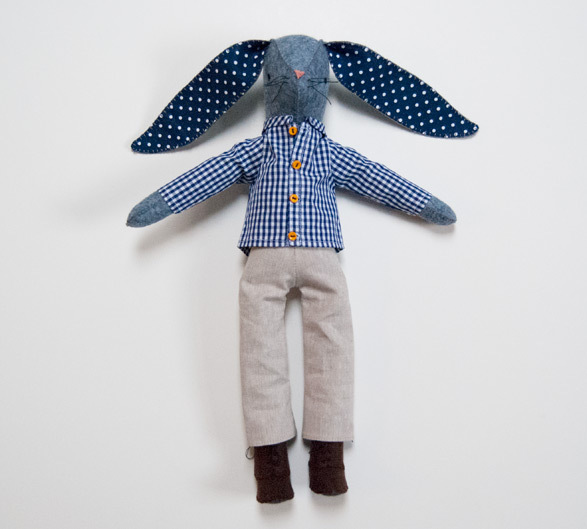 A tiny bunny, complete with little felt lace-up boots, a gingham shirt and trousers? It’s not what I usually choose to sew. But when a friend tells you that’s what she wants for her baby shower, you make it! 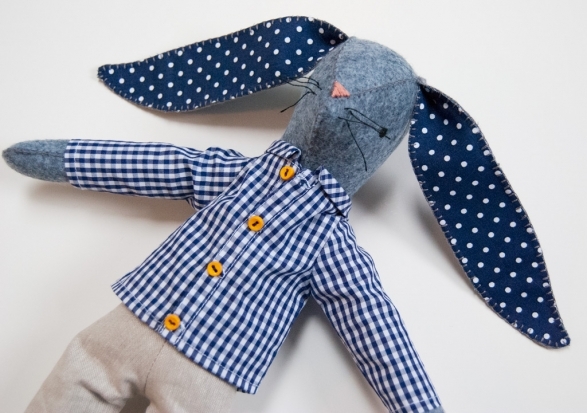 I saw Alicia Paulson’s adorable bunny kits and patterns when she first came out with them, and alright, maybe I was looking for an excuse to buy one. The pattern was easy to put together, and I really enjoyed sewing the tiny clothes. 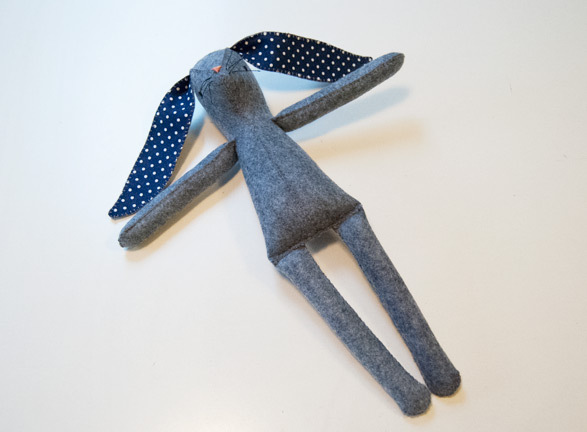 I honestly thought I’d be a lot faster at sewing this bunny. It took a lot of time because I wanted my stitches to be as miniature and perfect as possible. I didn’t change anything about the patterns, except that I made the bunny ears longer, and I also stitched around the shirt buttonholes, instead of only using a seam sealant on them. I love him so much! 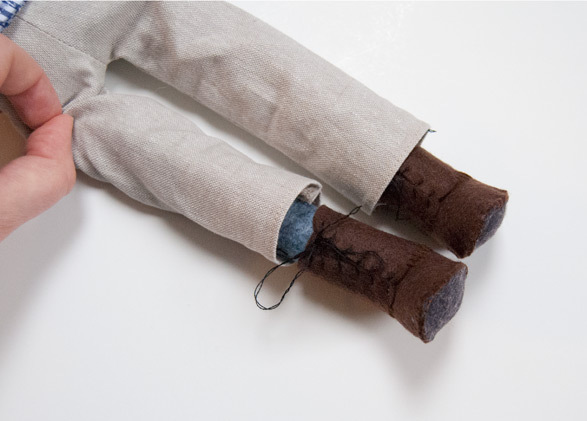 The hardest part to sew was the tiny boots. I don’t think I was holding the little shoe pieces together correctly. I didn’t overlap the top part of the boot over the bottom part, which I think would have looked better. Next time! Overall, I’d say this little cutie was a success. But I’m not here to show you, “Oh, look, everything I make always goes to according plan.” NOPE. Not at all, not one bit. I’ve been going through some of my older works in progress this month, and trying to decide which ones to move forward on, and which ones to pitch. For a few of them, the future doesn’t look too good. The first one I’ve decided to sacrifice is my Brandywine Shawl. This shawl was my first time attempting to follow a charted lace pattern, and it’s AWFUL. I almost didn’t want to share pictures, because I’m kind of ashamed of how much time I went ahead and wasted on it, even after seeing my glaringly obvious mistakes. I told myself it would all disappear when I blocked it. Right! Yeah! No one will even notice! I showed it to a friend of mine who is a very experienced knitter, and she gave me a sad face and laughed. “Oh… no. No, that won’t work,” she said. I stuffed it back into its project bag and now I need to frog it. I hate to do it because I spent soo much time on it, but I can’t get away with it as it is. I guess the lesson learned is that I can’t drink wine, watch Downtown Abbey and follow a knitting chart at the same time. Try again, right? This entry was posted in Projects and tagged embroidery, sewing on January 22, 2014 by Amy Alan. There’s nothing I love more on a cold morning than cuddling up in a big warm sweater with a hot cup of coffee. Ask Rob, and he’ll tell you that in the winter I wake up, put on a hideous gray sweater, and plop down on the couch to cuddle with the sleepy dog while I drink my coffee. I know it’s time to get rid of it, but it’s so warm and comfy! I’m fairly certain this sweater is going to stick around until it’s also falling apart. 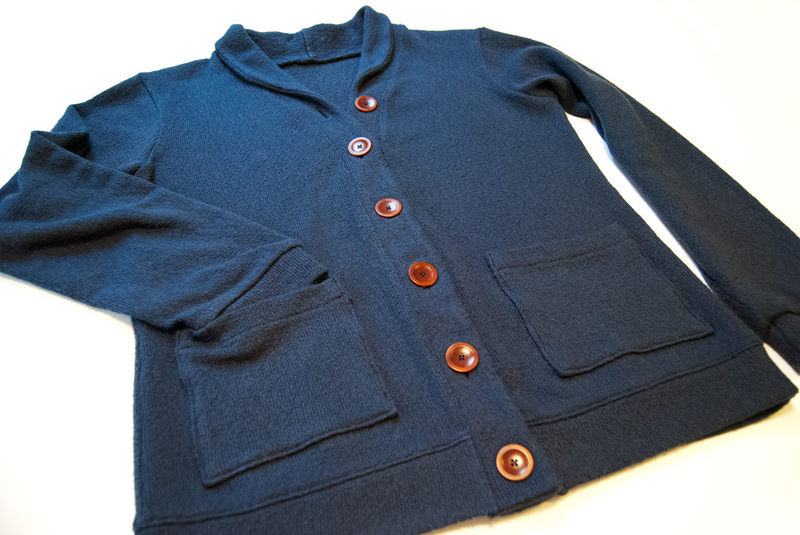 I found this fabric sometime last fall at Bolt, and I knew instantly I wanted to make a button-up cardigan with it. The thing is, when you have a large bust, it’s nearly impossible to find a cardigan that doesn’t scream “HELP ME!” when you button it. They’re usually really thin, easily pill, and have too much stretch to button and still look nice. That’s where Mcall’s M6803 comes in. 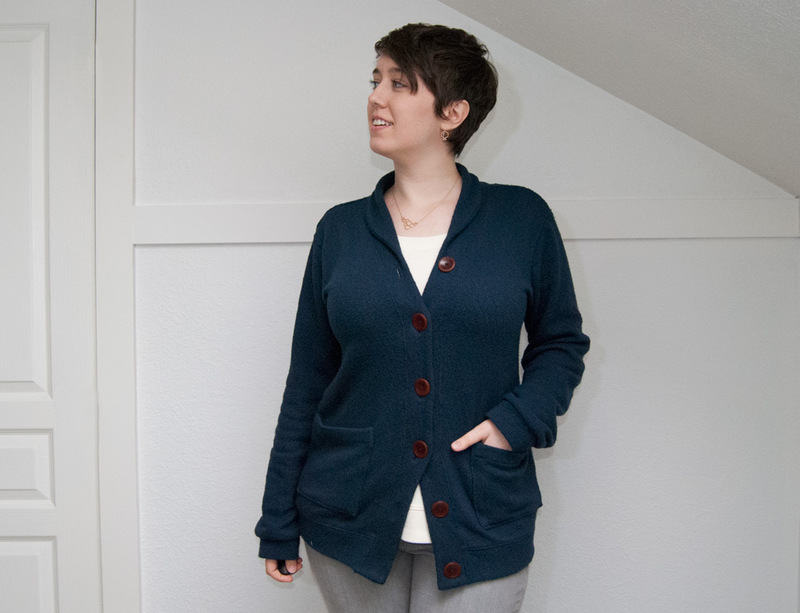 I wasn’t looking for a cardigan pattern, but one day not that long ago, I had some extra time to waste at the fabric store and I decided to look through the pattern books. I hadn’t done that in ages, and when I opened the book, it was on the page for this cardigan. I initially thought I’d use it to make one for Rob. He has really long arms, and trouble finding sweaters long enough to fit them. But a little lightbulb clicked when I thought about the fabric in my stash. That blue cotton knit! It didn’t take long at all to sew it up while listening to some Johnny Cash. The hardest part was deciding on buttons. I went to the Button Emporium downtown, and the ladies there helped me choose these lovely corozo nut buttons. Since they aren’t wood, I can still wash this cardigan without worrying about the buttons warping, and they have a beautiful marbled sheen. It’s one of my favorite garments to wear. The weight of the sweater knit is so nice, even if the sleeves do “grow” some throughout the day from the weight of the cuffs. It just makes it that much more cuddly to me! I debated what kind of pockets to put on it, or if I wanted any at all. I actually use the patch pockets all the time! My phone slides right in so I don’t have to lose my mind looking for it. The shirt that I’m wearing under the cardigan is another great knit find. 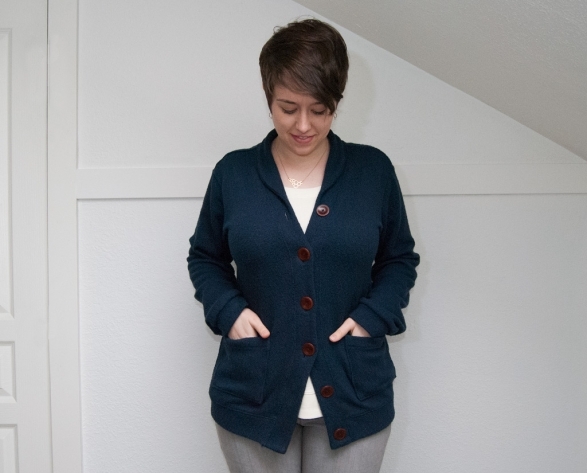 I made my Dad one of these cardigans for Christmas, and I got the fabric at Rose City Textiles. While I was in looking for sweater knit fabric, I felt an organic bamboo waffle weave. I just couldn’t leave it there! It was so squishy! 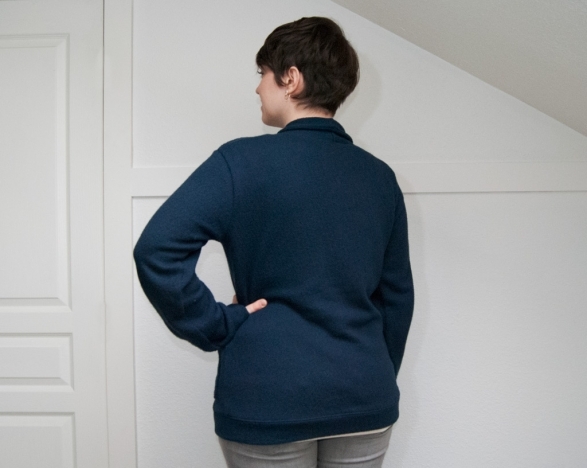 I used my modified Renfrew pattern to stitch up a long-sleeved thermal, and it’s dreamy. I have another green cotton knit waiting to be turned into a cardigan, and more fabric to use to sew Archers. I’m loving the cozy warmth of my studio and spending these rainy days sewing. Do you sew more in the winter, or in another season? This entry was posted in Projects and tagged clothing, fabric, serging, sewing on January 8, 2014 by Amy Alan.